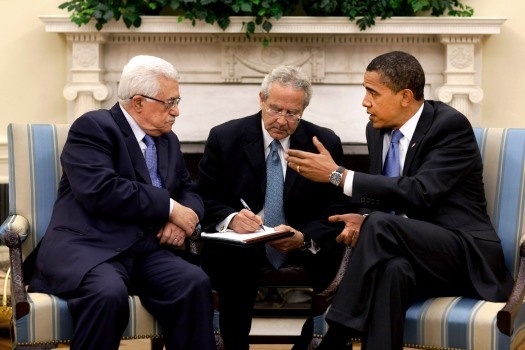 Get the latest poll: "American Attitudes Toward the Israeli-Palestinian Conflict." here. 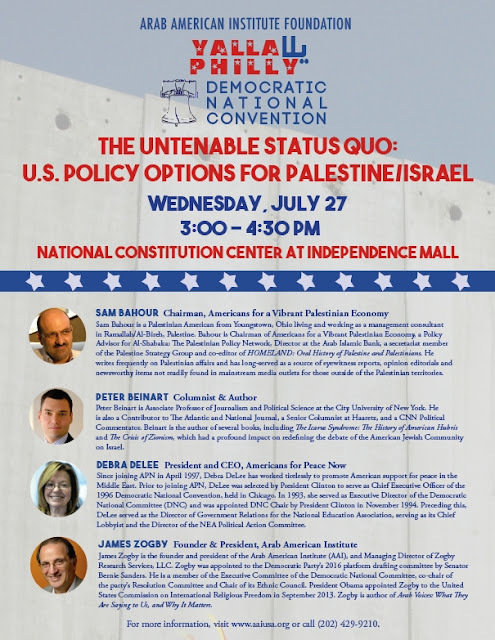 In addition to throwing a pretty spectacular party on Tuesday night, we're here at the DNC convention to educate delegates and inform the conversations happening around issues that matter to us. Yesterday, AAIF hosted two forums with nationally recognized experts in the field of civil rights, and then on the Palestinian-Israeli conflict. Watch them using the links below. 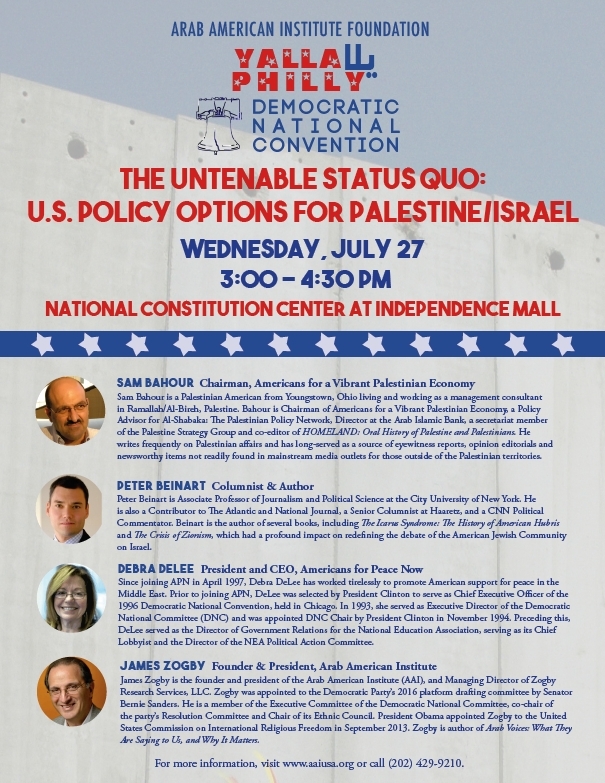 During the panel Jim released results from his latest poll, "American Attitudes Toward the Israeli-Palestinian Conflict." Read and download the poll here. 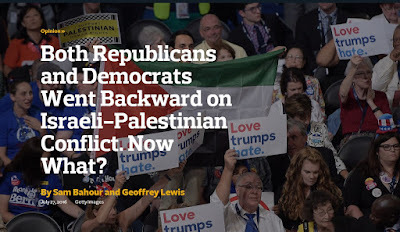 Both Republicans and Democrats Regressed on Israeli-Palestinian Conflict. Now What? "Remember, whatever you do in life, for them you will always, but always, be an Arab. Do you understand?"